Chicago, IL - The Holy Resurrection Serbian Orthodox Cathedral will be offering religious classes for parishioners on Friday evenings. 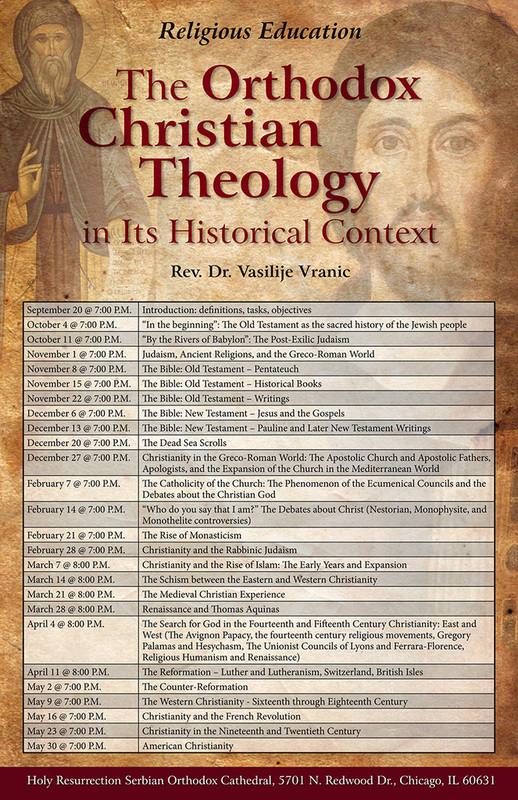 The theme of the classes is: "Orthodox Christian Theology In Its Historical Context". Classes will be led by Rev. Dr. Vasilije Vranic, parish priest of the northern parish at Holy Resurrection Cathedral. Classes are open to anyone interested in the greater Chicago area. See schedule above.